Readers are invited to join Linda and Janice as they embark on the ancient journey toward the transcendent and eternal by way of a very unique path: knitting. Through their shared enthusiasm for this time-honored craft, these two women have worked together to strengthen and deepen their spiritual selves and they encourage readers to do the same. Through the sharing of stories, hands-on explorations, and daily cultivation, the authors help readers to see beyond the surface of a simple craft in order to discover ways in which nuances of knitting can apply to the larger scheme of life and spirituality. 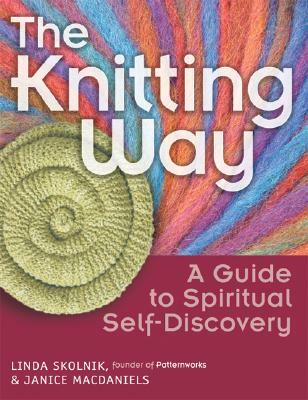 The Knitter's Way is a spiritual friend, a teacher, a sanctuary, and an opening to the sacred place beyond thought that will help readers to find community, authenticity, and satisfaction.